At Fortuna Duesseldorf, a visit to the stadium is also an experience for visually impaired football fans. In the German Bundesliga and 2nd Bundesliga, visually impaired fans are able to experience football games with live commentary, without having to miss out on the special atmosphere in the stadium. At Fortuna Duesseldorf, this blind coverage is provided by the mobile Synexis system of the German audio specialists beyerdynamic. The sports commentators cover the match using wireless microphones and the fans obtain the coverage in the midst of the crowd using the system’s wireless receivers and earphones and are thus kept in the middle of the action. 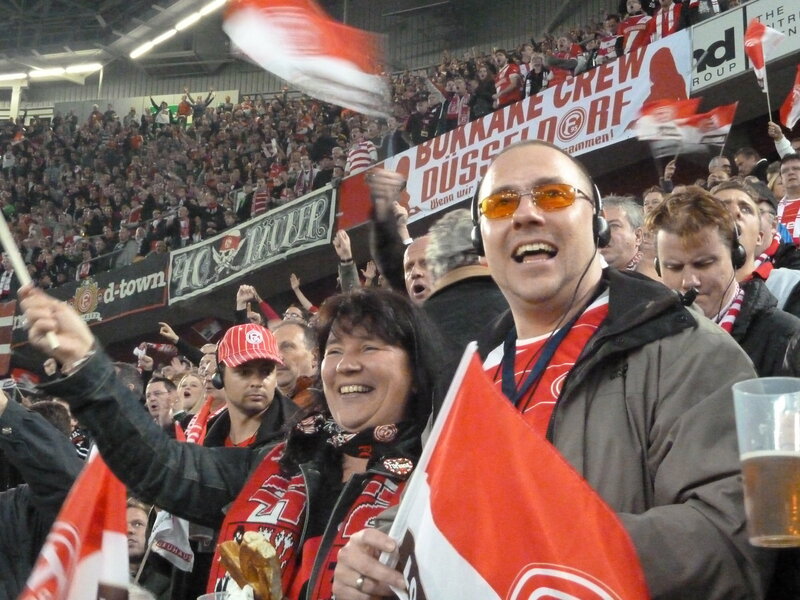 This service is organised by the officer for blind and visually impaired fans, which Fortuna Duesseldorf has engaged alongside the disabilities officer. Stefan Felix – also impaired – tends to the fans and engages himself passionately. Alongside the normal blind coverage in the stadium, there are often special events. The live commentary by reporting legend Manni Brueckmann or a special tour for the visually impaired of the old town of Duesseldorf, lead in dialect and using the Synexis tour guide system, were a unique experience. 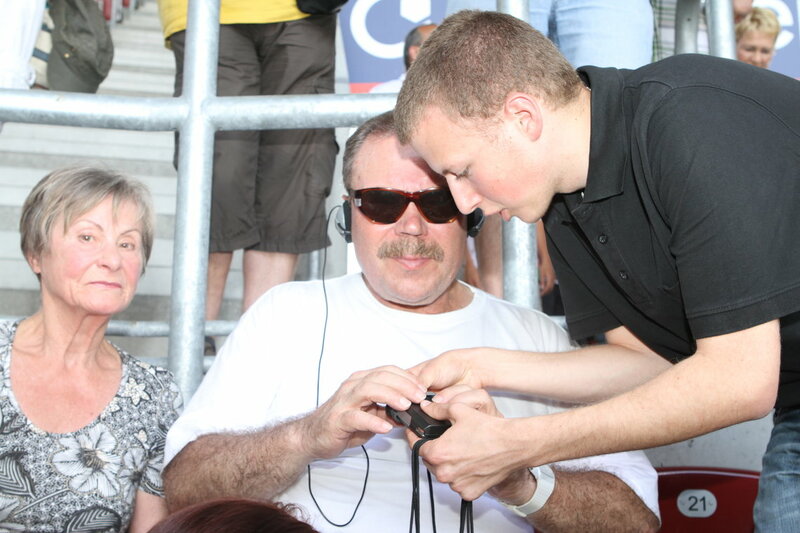 During one particularly extraordinary event, fans were able to put themselves in the position of the blind and visually impaired by wearing special glasses and follow the match only by using the Synexis system and the blind coverage. The technical effort required for the coverage is minimal, but it’s impact is all the more impressive. The wireless Synexis system by beyerdynamic ensures optimal transmission of the blind coverage. It is easy to handle, which is particularly important for the blind. The channel buttons on the receiver are lockable, preventing the accidental changing of channels. The only operating element is a prominent volume control, which also works as an on/off button. Noise compensating microphones prevent ambient noise from being picked up, resulting in optimal sound quality and speech intelligibility. Thanks to the open earphones, fans can follow the coverage whilst still being able to notice everything that’s going on around them. Two Synexis TP8 beltpack transmitters with TG H54c neckworn microphone or DT 394 headset for monitoring. This keeps the commentators’ hands free and quick changes between commentators are possible using the mute button on the pocket transmitter. 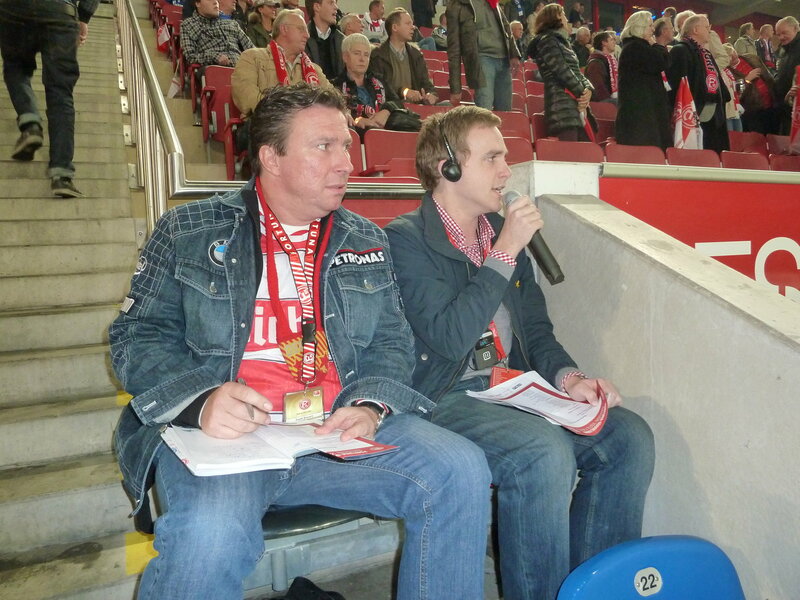 Alternative: One Synexis TH8 handheld transmitter, which the commentators pass between themselves. Synexis RP8 beltpack receiver with DT 2 earphones for fans. The number of devices to be provided depends on the number of visitors to the stadium. Synexis C20 or C30 transport and charging case. The devices can also be powered by standard batteries.